Problem or opportunity for marketers? There has been a rise in nationalism across the world over the past several years. A lot of it is fueled by politicians who want to increase their popularity by focusing on external threats to distract voters’ attention from internal issues. However, we are seeing a trend in emerging markets whereby they are starting to question their previous obsession with everything Western and are shifting to a growing realization that a lot of what they treasure and who they are is deeply rooted in their homeland. As marketers, we understand that our consumers are our most important stakeholders and therefore we try and avoid political involvement; we don’t want to pit one group of our consumers against another with our brand stuck in the middle. Today, local customers, whether they be in Russia, China, Brazil, Turkey, or so many other rapidly developing markets, have an increasing appreciation of what they have developed locally. Turkey produces some of the best honey in the world through Balparmak. Estonians invented Skype. The Czech Republic produces a state-of-the-art automobile in the Skoda. From large to small in terms of global impact, local consumers are rediscovering what they do well, what makes them feel good about themselves. In positioning our brands, we, as marketers, look for what makes our product different, better, and special. The problematic word is ‘better.’ When we say something is better, we are automatically inferring that something else is worse. That is not so much of a problem when we state that our product is better than an alternative. How we state that can be a problem though, depending on local laws on comparative advertising. But when we start to link the national origin of our product against a product from outside our country, we start down a slippery slope. Many people around the world remember when President George Bush famously said in a political speech in Iowa that Americans were the “best farmers in the world.” Big applause in Iowa, but when it was picked up in the international press, French farmers were less than impressed. Fearing a backlash with consumers not only in France, McDonald’s went out of their way to quickly distance themselves from Bush’s polarizing comments by launching local PR campaigns on how they sourced and used locally produced produce and meat in all their products. You may market a product produced in your home country and sold only in your country so you have no risk of offending consumers elsewhere. But it’s not that simple and still has risks. Progressive marketers know that the positioning of their brand is stronger if they can move from a focus on functional benefits to emotional benefits – particularly ones that tie into a consumer’s sense of belief in who they are, or who they want to be. Consequently, Coca Cola has moved from a focus on occasions for occasion’s sake, to how they can play a role in making those occasions more optimistic and joyful – beliefs. Nike has moved from an over-reliance on their iconic swoosh to the role their product can play in helping your reach your personal best. Volvo makes you feel like you are a better parent for keeping your children safe and so on. Pretty clear. Pretty smart. 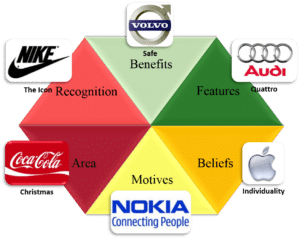 But when the process involves converting functional features and benefits about where a product is produced to an emotional feeling involving national pride, it becomes much more difficult and complex. How do you communicate pride in your country? Is it patriotism or nationalism? Or should you even go there at all? The answer may be yes. If you are a honey producer like Balparmak in Turkey, you recognize that the role of your product in the everyday lives of your consumers is meaningful. You want them to feel good about themselves knowing that a Turkish company produces honey that is internationally recognized as one of the best in the world. But how you do that can start you down that slippery slope. We recently ran a series of studies whereby we looked at how local consumers feel about country, nationalism, and patriotism. Let’s use Hungary as an example. We know that trying to be all things to all people ends up leading our brand to not being meaningful to anyone. We recognize that we need our brand to stand for something. 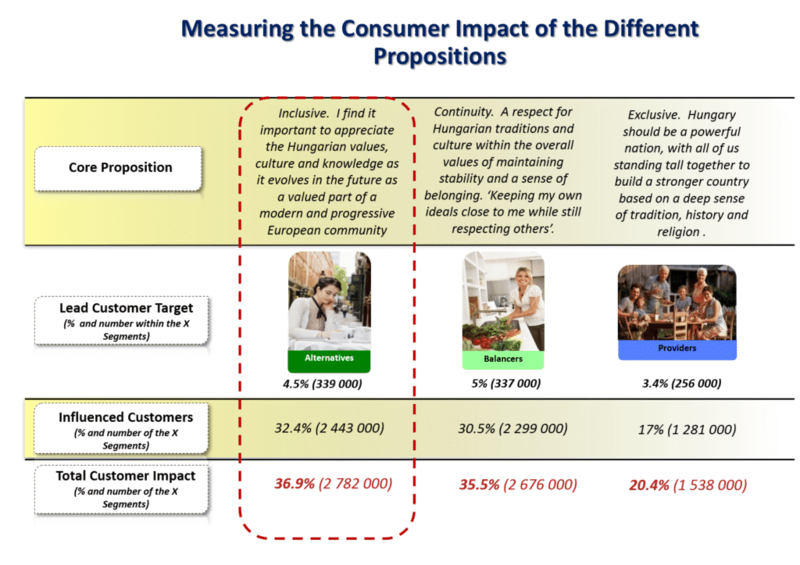 This doesn’t mean that we want to alienate other consumers, but we know we need to determine a lead consumer target to build a more meaningful and involving consumer value message that then has a greater influencing power through the larger overall population relative to the power of that proposition to as many potential consumers as possible. Regarding feelings of national pride, we identified three lead consumer segments in Hungary who had varying perceptions about what it means to be Hungarian – Alternatives from the early life stage, Balancers as parents, and Providers who skew toward seniors. That these three segments happen to be from three separate life stages is not coincidental. But more than what life stage they happen to belong to, is how they affect the overall population in shaping a particular proposition that we are most concerned with. Depending on the consumption of your product, this age distinction could be important, but in this example we are talking about a general sense of what it means to feel good about being a Hungarian. Rather than counting the number of arrows to determine which position is the most influential across the overall proposition, we developed a mathematical model that measured both the influence of the lead segment personally on spreading a message, and also on the influencing power of the core proposition (the message) itself. 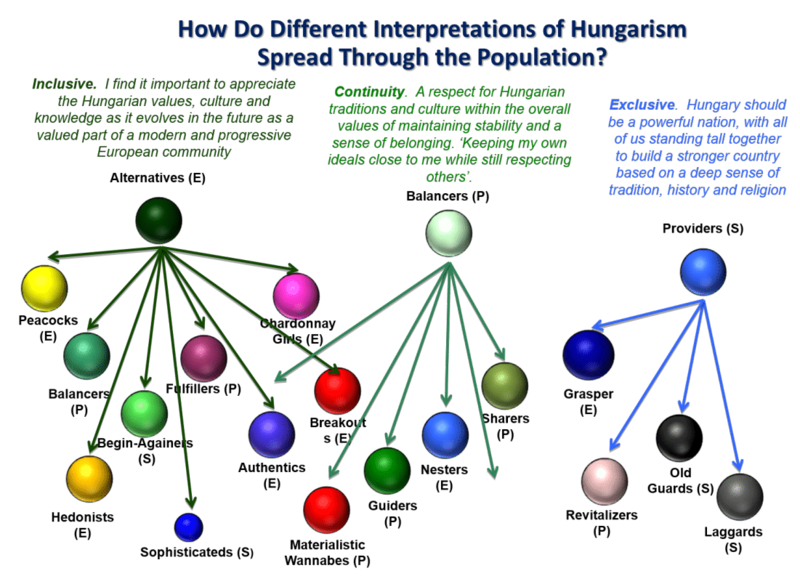 As you can see, the more inclusive and less polarizing proposition of what Hungary is and what it means to be Hungarian, is more powerful in positively influencing the greatest number of consumers. Beer brands often use strong national sentiments and symbols to link their brand with the beliefs of their local consumers. Good strategy. The challenge is in how you convey those beliefs because as the charts show, there is a considerable difference in how those beliefs are perceived – as exclusive or inclusive. As you immediately feel when you watch the link on YouTube, the commercial seems to convey a boastfulness bordering on insecurity about who and what Hungary is. A lot of Romanians wouldn’t appreciate the shot at their capital Bucharest, but Soproni didn’t care about that and they shouldn’t because their beer isn’t sold in Romania – Romanians aren’t their consumers. But how Hungarians feel about the ad is important. Using the consumer model of being inclusive or exclusive, I would rate the tone and message of the Soproni ad as more exclusive. Not only did this more exclusive approach target fewer consumers than a more inclusive approach may have captured, it had the knock-on effect of alienating many of their existing consumers who see Hungary, and being Hungarian, as being more inclusive. You probably have witnessed some form of this nationalism phenomenon in your own country when somebody takes a position on what it means to be a real American, a real Turk, or a real Russian, etc. Many will agree and applaud this sentiment, but others will be uncomfortable with what they feel to be heavy handed and reject the proposition. This is one reason to avoid a more exclusive approach to nationalism or sense of country. The other is that the inclusive approach doesn’t offend anyone. While some consumer segments may feel stronger on the subject and themselves skew exclusive in their personal feelings, few would be offended by the inclusive approach. It still makes them feel good about who they are. Lastly, the inclusive approach allows a brand personality to evolve and still stay strong regardless of the political winds that may sway the population over time from one set of beliefs about what it means to be an American, Turk, or Russian. Inclusive lasts longer. In the end, the proof is in the market. While Soproni has not released exact sales figures corresponding to the campaign, their market share decreased as a result of the campaign, which they soon dropped. On the other side of the Atlantic, Molson shares grew as a result of their more inclusive campaign and they went on to do many versions with this popular theme. In some cases it may be smart business to be more exclusive whatever your personal politics may be – this should probably be your guiding light when you are spending shareholders’ money on advertising. The market for RVs (recreational vehicles) skews older in the USA, and due to the very nature of the category (touring by road in a portable home) you are talking to people who have already determined that most of what they want to see on vacation can be driven to – discovering the USA. So although the link to this very patriotic ad may make a lot of American’s uncomfortable with its blatant use of national icons, the exclusive strategy works in this category because most people who would be uncomfortable with the exclusive approach are not going to buy and travel in an RV anyway. And those that do, prefer this more exclusive approach to national identity. In the end, how you decide to play the nationalism and sense of country card depends on your consumer (as always) and how they use the category. What is important is that you know the implications of different approaches because once a strong message is conveyed, it is hard to pull it back. Marketing is a science. The breathtaking campaigns that blow you away are based on carefully put together research that gives true consumer insights for use in the marketing strategy. We all say we are consumer-centric, but how consumer-centric are we really? 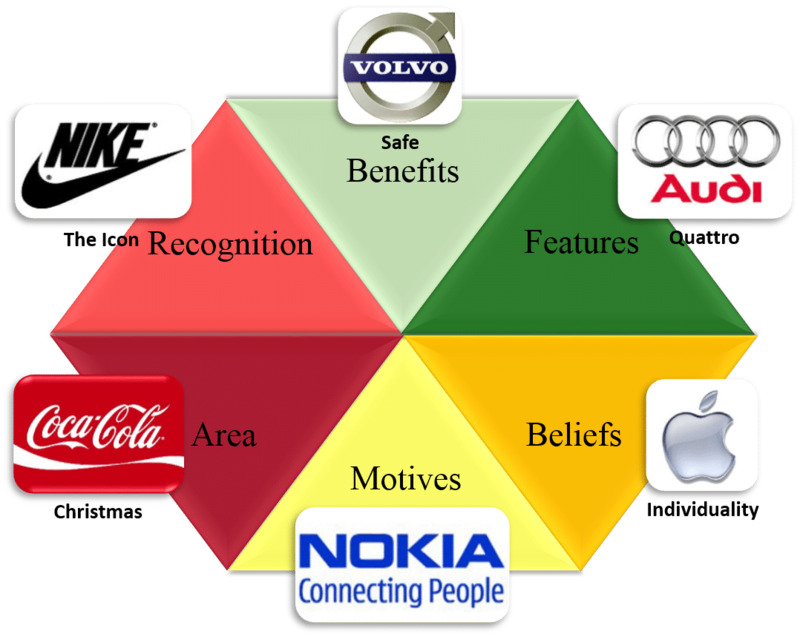 The most successful brands in the world have an emotional and functional connection with the consumer. They hit them with the right message, at the right time, in the right place. You may get lucky. Or you can do the science and really know your consumer.